If you have any questions or want to enquire about dates, use our form to contact Caroline & Patrick Hürlimann or see their website for more information. 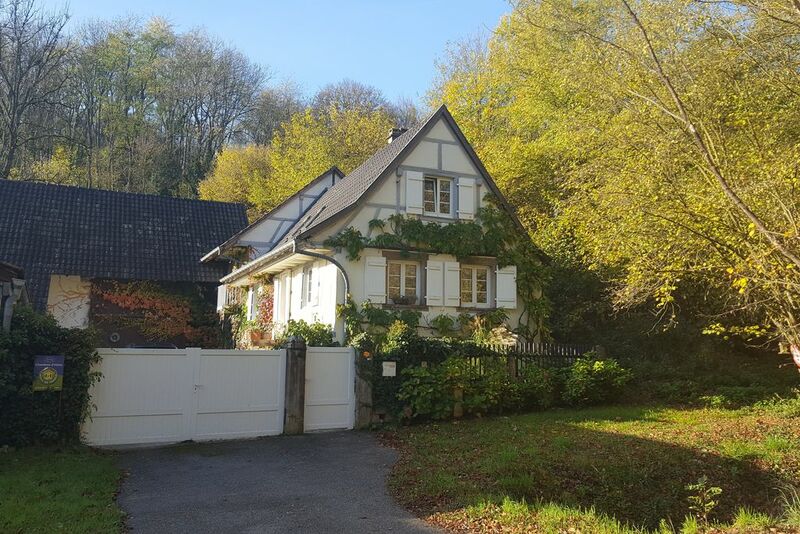 Caroline and Patrick welcome you to their little corner of the German-French border with convivial breakfasts around the family table and evening meals at the weekends: local meat, veg and goat’s cheese from a nearby farm. The surrounding villages and valleys are dotted with good Alsatian restaurants. Fabulously wild walks up and down the forested slopes of the Vosges Mountains are just a short drive away, as is charming Strasbourg. Borrow bikes and plan a circuitous route to finish at the goat’s farm for Sunday lunch and a cheese tasting, or visit one of the village vineyards to sample aromatic Alsace wines. Winter visitors can drop in on the Christmas markets along the Route des Vins; in summer there are picnic spots in the lovely sloping gardens here. Dinner €30, Fri - Sun evenings. Restaurants 5-minute drive. Singles €95. Extra bed/sofabed available €30 per person per night. This was the perfect place for a short trip. I enjoyed the peace and quiet of the gardens, and the comfortable bed. The breakfast was delicious and the hosts are extremely helpful and gracious. It is close to Strasbourg, and yet completely rural. The cottages are burrowed down a quiet lane of timber-framed houses on the outskirts of the village. Kuttolsheim has wine shops, a bakery and takeaway pizzas, and there are excellent Alsace restaurants and local weekly markets in almost all of the neighbouring villages. Charming, chocolate box Strasbourg is 18 kilometres away – a permanently Christmassy town of fairytale houses and cosy taverns. The lovely village of Kuttolsheim lies at the outset of the famous Route des Vins which leads through the rolling vineyards and the typical Alsatian villages of the region against a backdrop of the Vosges mountains. There is plenty to do in the area. Come to the Alsace in the spring, when asparagus and fresh strawberries are abundant everywhere! It's great for biking and not too taxing although there are some hills that will keep you fit! Caroline and Patrick are keen cooks and enjoy cooking delicious food. 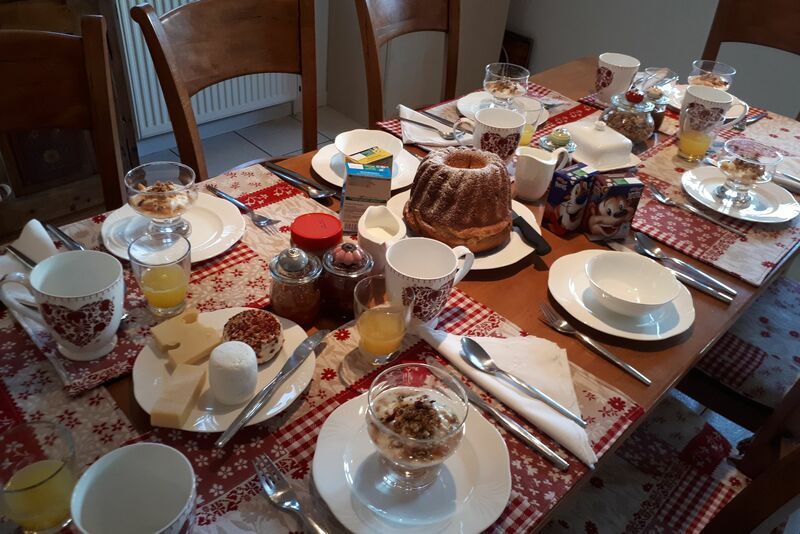 Sweet treats and healthy breakfasts are Caroline’s speciality – she’s also a linguist and speaks Arabic and German as well as teaching English. Patrick, a native Alsatian is a keen Kougelhopf baker and can recommend everything local, from walks to wine. 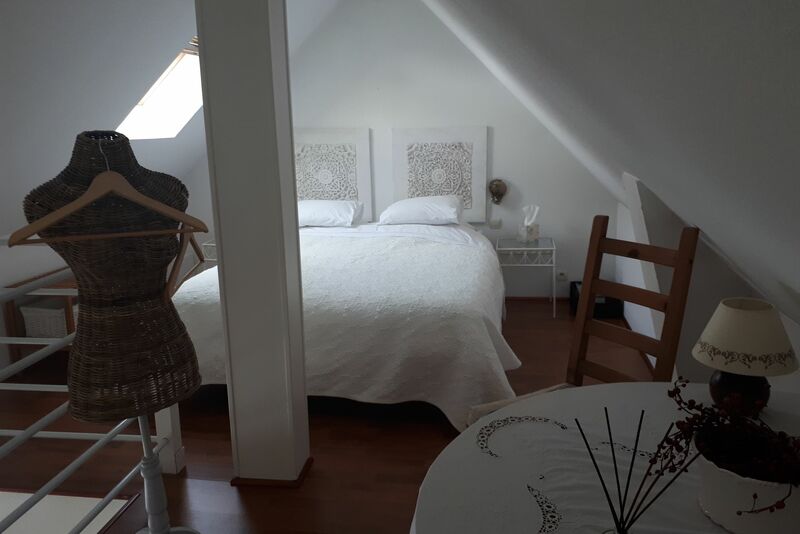 The couple have lived over the border in Switzerland for many years but have now come to run their B&B permanently, bringing their two beautiful cats Percy and Chacha with them.